With free delivery for orders over $50 AUD. 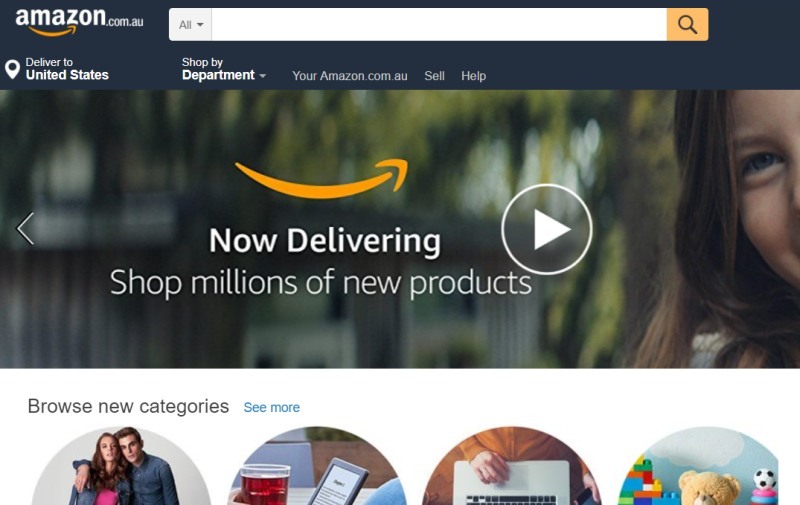 While Amazon Australia didn't open by Black Friday as rumors predicted, the marketplace is live in time for the Christmas shopping season. It started taking orders on Tuesday (local time) and offers free shipping across Australia for orders over $50 AUD (or about $37 US). While Australian registered sellers have used Amazon for some time, they couldn't ship goods in-country since the company didn't own a warehouse there. Now it's set up one of its huge distribution centers just outside the city of Melbourne, which Amazon hopes will cut delivery time to within a single day. For now, the company estimates its free deliveries within east coast cities of Sydney, Melbourne, Brisbane and Canberra (as well as Adelaide) should take three business days. Shipping to more remote areas could take as much as 10 days. Faster times are available for higher prices, of course. Amazon is planning to offer its Prime service to Australian customers in mid-2018, which is ambitious for the huge country. Since the company announced it would expand within the country back in April, traditional retailers have taken a hit: Stock for the top department store operator Myer Holdings has decreased 30 percent since, Reuters pointed out.